Optimizing the advanced technology, we are engaged in manufacturing a wide range of test rigs for hydraulic cylinders, valves, pumps, motors, etc. 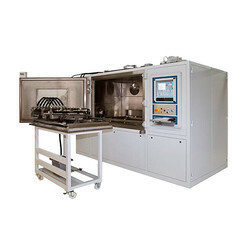 These test rigs are designed for testing pressure, leakage, flow, etc., and provided with provision for cyclic and fatigue tests. Precision engineered, these are made in strict compliance with the relevant industrial standards. 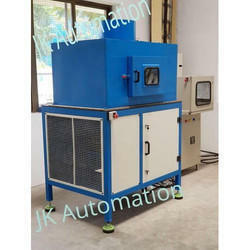 This machine is suitable for endurance and validation test of the air spring. (air spring of Railway, rubber bumper of Railway, air spring of bus upto 500mm height). 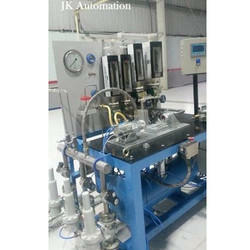 JK Automation is engaged in manufacturing of different types of Bearing Test Rigs. 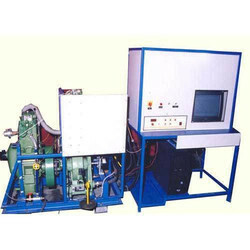 Bearing Test rigs are designed for Validation and life cycle Testing of different types of bearing ,We are commissioned spherical roller bearing life cycle test rigs with simulating Real time life cycle testing with mud spray.also this rigs are using for rpm V/s load testing .this machine is installed inn various bearing manufacturing industries this bearing test rigs are have capability of capturing real time data with graphical dispaly with support of lab view software.we also manufacturing KING ping Test rigs for thrust bearing for automate and agricultural vehicles.W also manufacturing custome made rigs for varios bearing testing and validation. 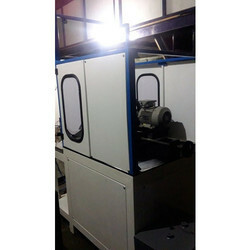 We offer scientific design and manufacturing of different type of test rigs for wide application of automotive equipment. 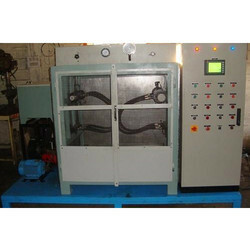 These equipment recently supplied to TATA Ficosa at Hinjewadi plant, Pune for Nano Cars, GSL and gear box extreme condition testing(Minus 60 degree and plus 120 degree centigrade). 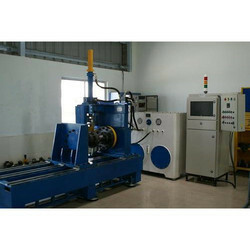 The Hydro-Static Pressure Test Rigs are using for high-pressure testing and validation of the Auto motive components and deffence equipments.This Hydro-Static pressure test Rigs also using for different type valves validation also.JK Automation is mnufacturing specific test rigs according to the customer requirements. This is a test rig used to validate the fully automated ORVM(Outside Rear View Mirror).This equipment is capable to validate any sort of ORVM mirror.RH and LH mirror assembly can be checked at the same time. This equipment is suitable for fuel hose pipe cleaning and leakage testing equipment, used in fuel and lubricating lines. 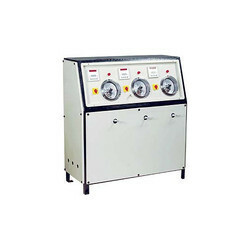 This equipment is suitable for large quantity of quality checking. This can be customized as per requirement. This is a validation test rig for the lock and key validation for Online Validation Test Rig for Automotive Key. Pulley Bearing Test Rig, using for Dynamic condition Testing.This Rig is Installed in JK Fenner Madurai plant.This Riges are using for high temperature and high rpm testing.this rigs are using for belt tension testing,pull code testing,belt and pulley osilation testing.the same concept are using to Endurance testing of the Micro-Belts and Pulley Bearing.the machine is design with computer Based data aquisition System.The high End Lab view software using to real time data accusition.Like temperature,load,RPM and torque. 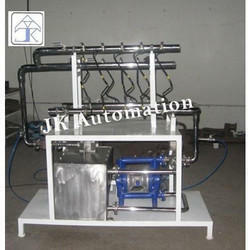 This test rig is used to validation and segregation of vale guide. 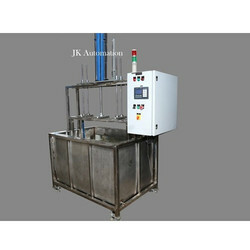 This system is also suitable for automatic feeding and validation. This can be customized according to the needs. Tech environmental HEA(High Efficiency Energy Absorption Test Rigs )are using for rock fall protection Net testing with applying Hydraulic power through high pressure cylinders. 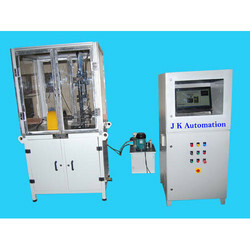 JK Automation hav devolved and tested,Implemented in Different customer places from so many years .This systems are very success fully running .This technology is devolved by our technocrats and engineers after multiple trials and feed back.This system are testing Load V/s Displacement This HEA Test Rigs are ensure the Real Time Data storing management with Graphical prasentation.Which will create customer satisfaction and confidence.Our HEA Test rigs are Reliable and Durable for such Testing.JK Automation is one of the Leading manufacturer in this technology devolupment activities.we are design anddevolupedsuch a customised solution for different customers. 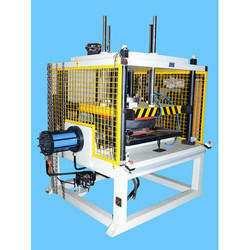 This machine is developed in india first time.This testing machine is Installed in india for RDSO. This is a very special machine can do the validation of the AIR Spring and Endurance testing for Life cycle. These test rigs offer physical values of gear shifter like angle of displacements, torque, linear values etc. 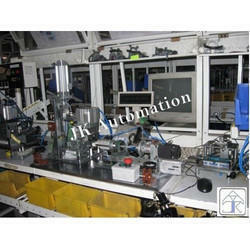 These equipment are totally control by servo motor which offer very accurate values.